Includes 52 week Fall in Love E-Course, plus a signed hard-bound copy of Emily's book, and weekly support with Emily Madill in a private facebook group. Get the wisdom, inspiration and tools from the Fall in Love With Your Life E-Course, a signed hardbound copy of Emily's book, plus plus weekly support with Emily Madill in a private Facebook group. Start date January 6, 2019 - January 5, 2020. REGISTRATION EXTENDED UNTIL JANUARY 11TH. Do you make room in your day and week for you? Do you crave a space and community that's just for you? Would you like to have a special place you can go that's your own reprieve and time for self-care? Life can be a balancing act. If you're in any kind of caregiver role - whether in your family, workplace or community (or all of the above), often the energy output doesn't equal the same energy we give back to ourselves. The relationship each of us has with ourselves is our most important relationship. When we invest in strengthening the connection with ourselves, we are better able to weather the storms in life. If you're wanting to strengthen the relationship you have with yourself, or simply would like to create new habits around self-care and self-love, then I invite you to consider joining our next year-long 'Fall in Love With Your Life E-Course' adventure. The Fall in Love With Your Life E-Course Program is designed to create a lasting practice of loving yourself and your life – as it is. This is more than a weekly practice, it is a daily practice, a moment to moment practice and a life practice towards self-empowerment and falling madly in love with the life you are in. This E-Course is not designed as a quick fix. It isn't about sugar coating everything that feels hard in life. This practice is about expanding your awareness of yourself and shining the light on more of what you do want in your life. It is a journey of your own making. During The Fall In Love With Your Life E-Course, you will have the opportunity and space to create a powerful self-reflection practice, to try on new perspective, to be inspired to push outside of your comfort zone and to give yourself the gift of embracing life. This E-Course is all about stepping into the driver's seat of your life to create the most fulfilling life journey - by YOUR definition. While there will be lots of inspiration and ideas along the way, this journey is all about giving yourself this gift of growing where you want to grow and loving yourself and your life - as it is. Dropping Judgments - and much more! The weekly focus and essay. And ongoing opportunities to connect with our community. Learn more about Emily's coaching style here. There is no shortage of material and inspiration on your journey. You get to put your own spin on all of it to make it a unique and meaningful life practice that sits well with who you are. You'll receive a new topic every week for the duration of the 52 weeks. That said, you set your own pace with how quickly you choose to move through the course and create your own self-empowerment practice. Self-Empowerment coach (ACC) and author Emily Madill will be there to support you throughout your year-long journey. There is also a private space within the school to communicate with Emily and the other community members. Ready to fall in love with your life? Ready to finally have a dedicated self-care space that's all your own? Come join us on this fun year-long adventure! "For everyone seeking a brighter path, may you find your light within"
The course officially starts on January 6, 2019, after you enroll and purchase the program. You'll receive a new topic every week for the duration of the 52 weeks. That said, you set your own pace with how quickly you choose to move through the course and create your own self-empowerment practice. After the E-Course ends, 52 weeks from your purchase, you will continue to have access to the course material. I'd like to promise lifetime membership, but it might be more realistic to promise unlimited access after your 52 weeks, across any and all devices you own, from now until the world shifts. I'm really enjoying having my school on the Teachable platform, and have no plans to move to other platforms, but maybe in 5 yrs another venue will open up or our needs may change. You will have access to this course for as long as Teachable is able to host it, and that is for the foreseeable future. How will I connect to the community? There are two ways to connect with the community, if you choose to. One is within the comment section inside the course. There is an opportunity to comment and engage with Emily and other students at the end of each section of the course, all the way through your journey. The other way to connect with the community is through the closed facebook group led by Emily. All members are welcome and invited to join the facebook group if they choose to, it is optional and certainly not required. The theme of this course and journey is to connect in and create your experience in your own unique way. There are no 'shoulds' or 'musts' - you choose how you move through this material in a way that is most beneficial to you. You gain access to the course material when you purchase the E-Course. The start date for the weekly delivery of the course officially starts January 6, 2019. You will then receive weekly content every Sunday for 52 weeks. The course content will be unlocked on a weekly basis and then you will continue to have access to the previous week's material. No membership to facebook or anything else is required to successfully move through this program. Emily will connect with you after your purchase, to set up your VIP one to one monthly coaching calls, if you chose to purchase that option, along with the E-Course (added cost). Emily Madill is a self-empowerment author and certified professional coach (ACC), with a BA in business and psychology. Emily is Thrive Global's Editor at large. She has published 11 titles in the area of self-development and empowerment, both for children and adults. You can find her writing in Chicken Soup for the Soul:Think Positive for Kids; The Huffington Post; Thrive Global; Mike Dooley's TUT.com; Medium; WellthyLiving; Emerging Women; TinyBuddha; Aspire Magazine; Best Self Magazine; The Muse; MindBodyGreen and more. Emily holds credentials through the International Coaching Federation. 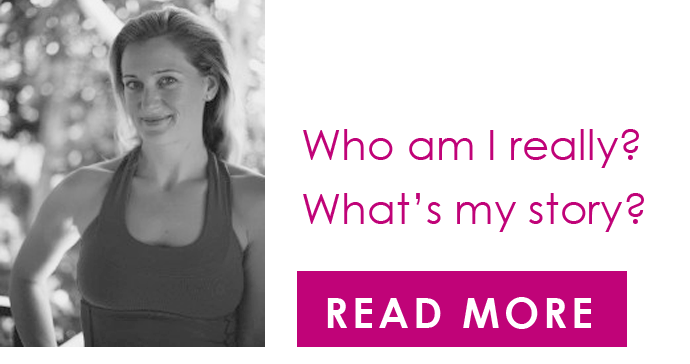 She has a private coaching practice and an online program offering courses that support people to create lasting habits around self-love and self-awareness. "This is the book to prepare you for the coming year! If you're ready to fall in love with your life, I know how you can do it, and who can lead the way. Emily Madill is a light to all who know her and I'm so happy she is putting her brilliance in print, to reach as many people as possible! She's authentic, caring, and sage-like, and you will know this immediately upon soaking up her teachings!" "Emily, thank you for all your support over the past few years. Our coaching sessions have helped me get my personal and professional goals on track. You have a lovely way of guiding clients through the process of discovering what their priorities really are, and I appreciate the accountability and gentle nudges that come along with that knowledge. You always know just when to give me that extra little push that I need to get unstuck and back on track!" Emily Madill begins 'Fall in Love With Your Life, One Week at a Time' book with her quote: ‘'when we shine a light on whatever is going well, we illuminate the path.” This selection glows with positive energy, and we connect with the imagery of illumination. Emily continues with her own wording that maintains that scintillating energy and illumination, shining with positivity, in an engaging, conversational voice. I had such faith in Emily that I wanted to glean as much as possible from her advice. Very reassuring, and avoiding self-help cliché, each section is beautifully-crafted, with Emily’s great instinct for effective length and detail. Very well done. "Emily Madill works tirelessly to "walk her talk". She has a dynamic and experienced acumen to coach her clients; their businesses and personal life goals. She is a gifted speaker/writer and coach who is passionate about life and it's contagious! Emily has a sharp sense of how to focus in on what's important to her clients as well as provide tools to cope, when life feels overwhelming. She has a very down to earth approach that once you work with her, you are inspired to do your best. She is a real jewel and I am honored to have worked with her."